As a Christmas present to everyone, here's a general step by step procedural on my mapping technique when working with a client. 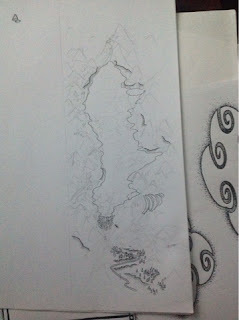 After confirming with the client that this is what he is after, I start detailing in ink. The first details to be inked are the parts of the map that mesh with another part of the series. In this case it's the exploration base camp at the bottom of the map. 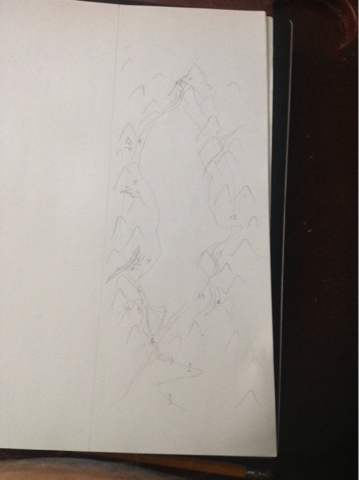 Then I outline the significant structures... which in this case means the central glacier. There are paths to the left and right of this glacier leading toward a mysterious mountain at the far end. Underneath you can see some embellishments that might get added into the map when I've scanned it and am digitally mucking around with it. Here's a closer look at those embellishments. 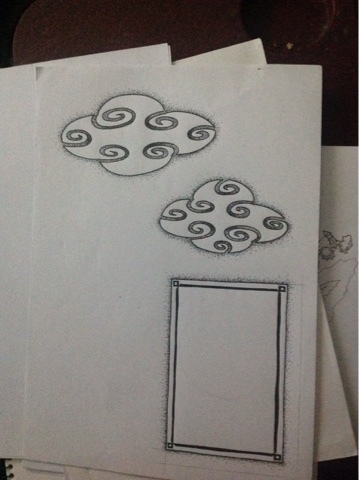 They were inspired by details in Tibetan patterns, which often appear in Tibetan buddhist maps and scrolls. 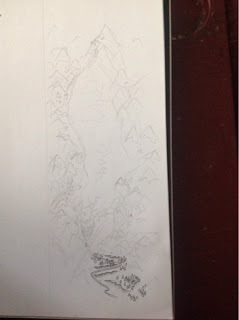 Next I add in the rocky mountainous terrain around the glacier. 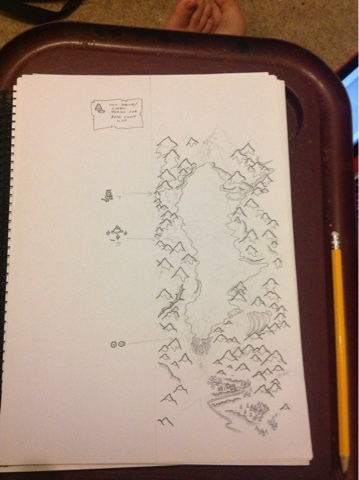 This is followed by another post to the client to ensure the map is heading in the right direction.